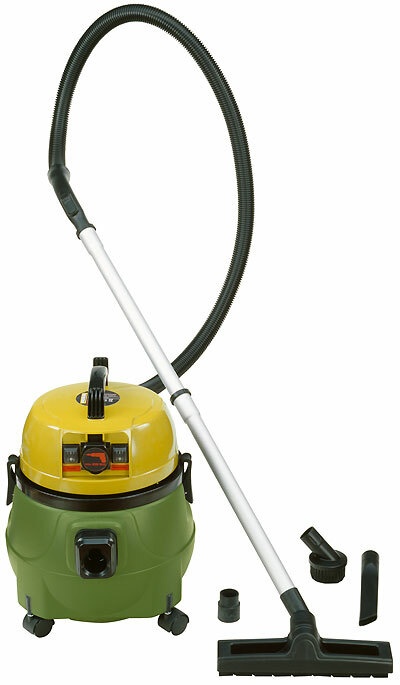 Runs smoothly with high vacuum performance. Large fluted filter made of polypropylene, which can be manually cleaned and even washed. Additional fine dust paper filter (not essential for this function). Container and lid made of high-quality plastic, completely watertight. Therefore also suitable for vacuuming liquids. To do this, remove the fine dust paper filter. Emptying the container is easy and convenient thanks to a removable appliance lid (motor unit). Blowing function simply by switching over the vacuum hose. For cleaning and drying. Complete with fluted filter of polypropylene, 6 fine dust paper filters, 3.5m vacuum hose, 2-part aluminium vacuum pipe (total length 98cm). 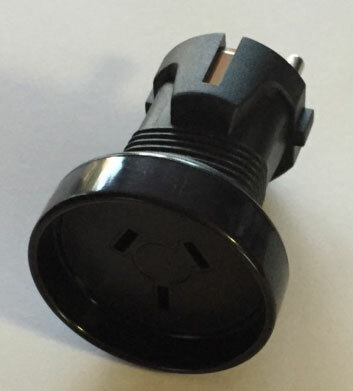 Floor nozzle, brush nozzle (for furniture and other sensitive parts), joint nozzle and adapter to fix the vacuum cleaner hose in the working area (figure at top right). 220 - 240V. 50/60Hz. 1,100W. For electrical tools between 25 and 2000W. Container capacity 18l. Insulation to class 1 requirements. With 5m connection cable. To fix the vacuum cleaner hose in the working area. With 32mm clamp for the suction connection. With 20mm collar for insertion to universal holders UHZ and UHV and a strap for fixing in any vice. An additional and useful filter function when dry vacuuming only (must be removed when vacuuming liquids). Click the button below to add the Proxxon Compact-workshop Vacuum Cleaner CW-matic to your wish list.